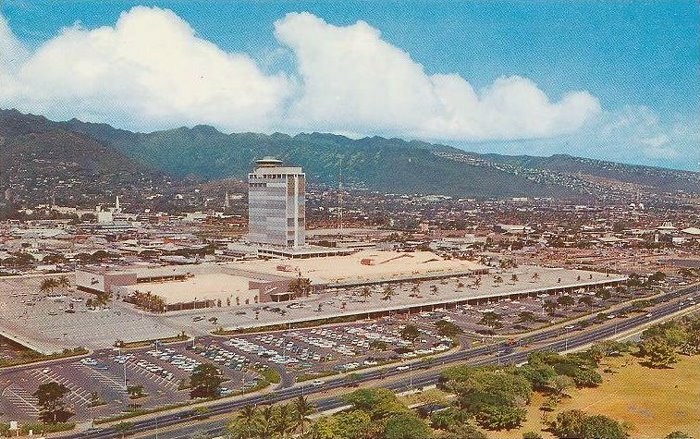 As a bonus, here's a neat little page with some interactive "virtual tour" photos of the mall, from the very cool site, VTHawaii.Com, and click here to check out a current aerial view of the mall and beautiful surrounding areas in Waikiki--zoom out for a really stunning view! 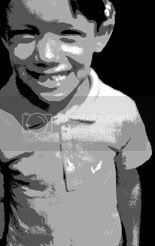 I think that photo is pre-1966. Liberty House and Penney's opened in 1966 and they are not shown in this picture. Thanks, Paul! Ah,it was actually supposed to have said 1960's, not 1966. I see now what happened--I got it mixed up with another I happened to be looking at whilst preparing that post. Crossed the dates up there as I went to press. Heh. Whoops. I adjusted it. You can see that fantastic SEARS script on the far left! Ah... Liberty House. I loved that store. Used to get my Snoopy clothes there in the Seventies.